I was in Manchester over the weekend and was privileged to have a preview of the new £35 million Christie cancer centre. The Christie is the world’s largest clinical trials unit. The Christie is the world’s largest clinical trials unit for cancer and the largest cancer treatment centre in Europe. The Christie registers around 12,500 new patients and treats about 40,000 patients every year. The hospital has one of the largest clinical trials units in the United Kingdom for phase I/II cancer trials, with around 1,200 patients going on new trials. The day patient treatment centre includes 70 beds, 65 treatment chairs, 19 consulting suites, blood room, pharmacy, researching sample processing laboratory and a state of the art pod system for transporting items around the Christie. The centre will treat 600 patients a week and around 2,400 patients a year will be treated in the new clinical trials unit – double the number we currently treat. The centre has been designed in consultation with patients, using environmental friendly materials and maximising on the use of natural light. A large glass atrium on the second floor will also maximise natural light and help create a peaceful atmosphere. Undertaking research that will save lives. “Research taken in the centre will provide patients locally with the best possible care and will affect cancer research globally,” said Caroline Shaw, chief executive at The Christie. 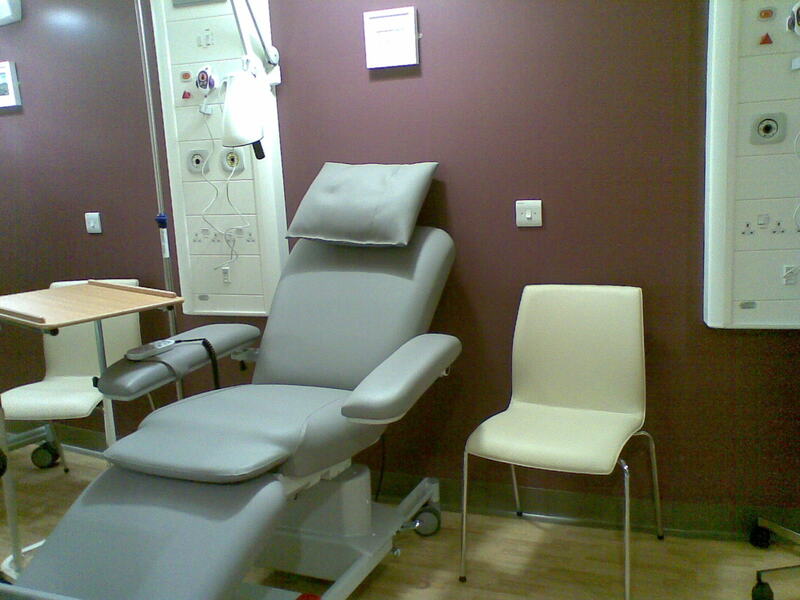 The centre has new chemotherapy services that will provide much better facilities for people receiving standard chemotherapy. “We can do everything is a more integrated and efficient manner. Our patients are at the heart of everything we do at the Christie. This centre will provide the best possible care for patients at the time of difficulty in their lives,” says Caroline. Kim, 19, from Blackpool was diagnosed with rare bone cancer in August 2009 and took part in the clinical trial. “It really scared me at first when they told me it was cancer as everything was going to change. I went through an intense six cycles of chemotherapy. Sometime I got the feeling that I just don’t want to carry on. I used to feel very drained by it. All the nurses were very helpful and supportive and that helped a lot to stay positive,” says Kim. Nichola, 48, from Cheshire was diagnosed with breast cancer in May 2009. Her treatment included chemotherapy. “The Christie people were fantastic. They make you feel that cancer happens and that they have got the treatment and expertise. Now I have to visit my oncologist once every six months,” says Nichola.